Rained on your wedding day? It rained heavily on our day, in fact during the group shot - blue skies turned grey and down came rain in vast quantities!. Luckily our Toastmaster and ushers had a handful of umbrella that were readily available for all the important people and it didn't impact on the day what so ever. 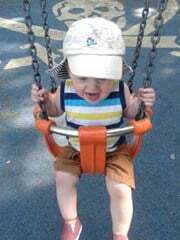 The rest of the photos were taken in side and every one still had a great time. For you - just make sure that you have someone bring a LARGE umbrella for yourself (just in case) and remember keep smiling - the most important thing is that you are there with your friends and family to celebrate!!!! I was so worried about the rain and it did rain, literarily non-stop. It wasn't heavy but it really didn't let up at all, and guess what it didn't spoil my day AT ALL! And I got married in a big glass conservatory building. The thing is, its difficult to accept when you are planing and want it all to be perfect, but there is so much else for people to focus on at a wedding that the rain is really no biggie, just keep smiling and have fun as your mood will really set the tone for the day. My friend got married last week and it rained. 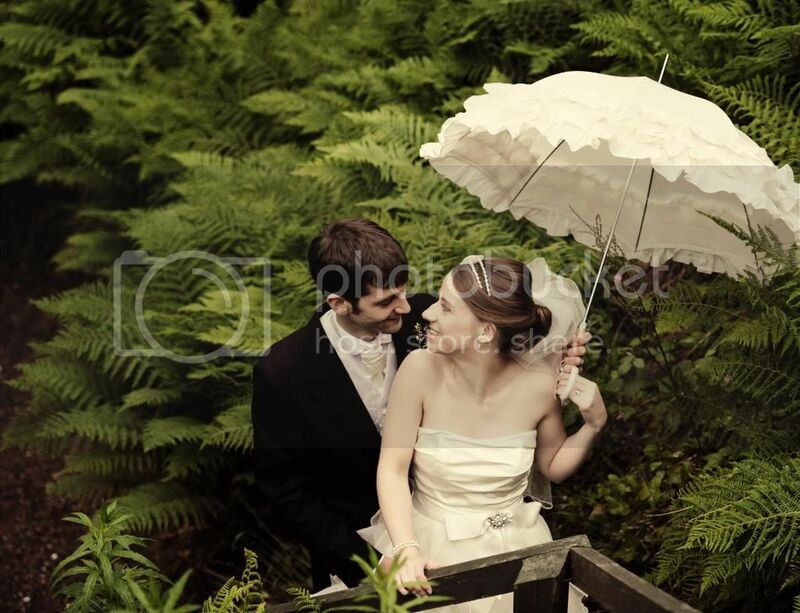 I lent her some brollies which I've got ready incase it rains on my wedding day. 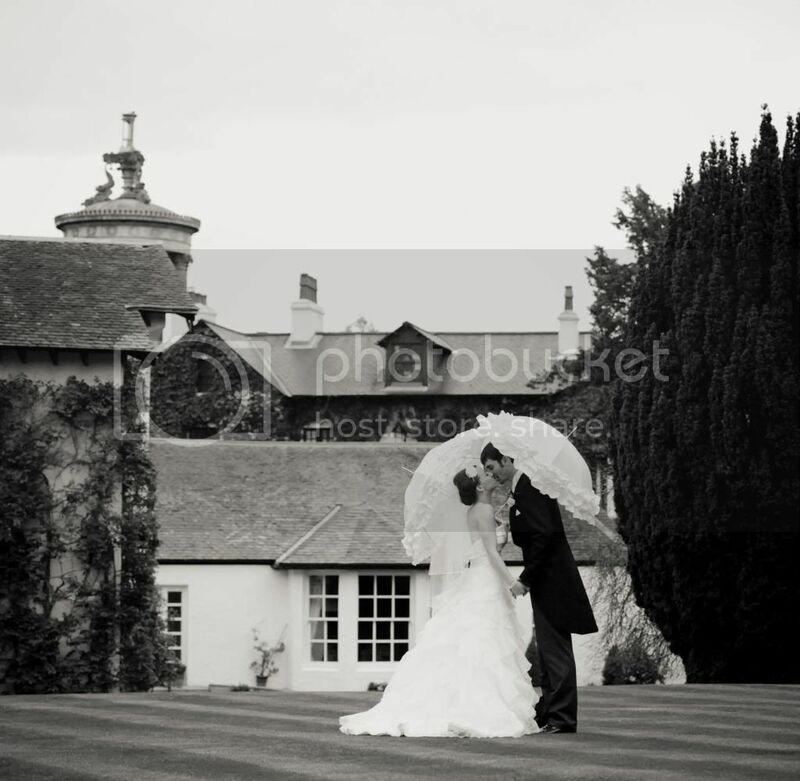 It rained most of the day but you still find time to nip out when it stops raining and her photos are still fab. Unless its red hot and everybody is sitting outside you will probably be inside more anyway. They have some nice large white brollies with clear tops in poundland. We got married in September and had an outdoor ceremony too - it was ok to begin with and then the rain started just as soon as i stepped under the arch. 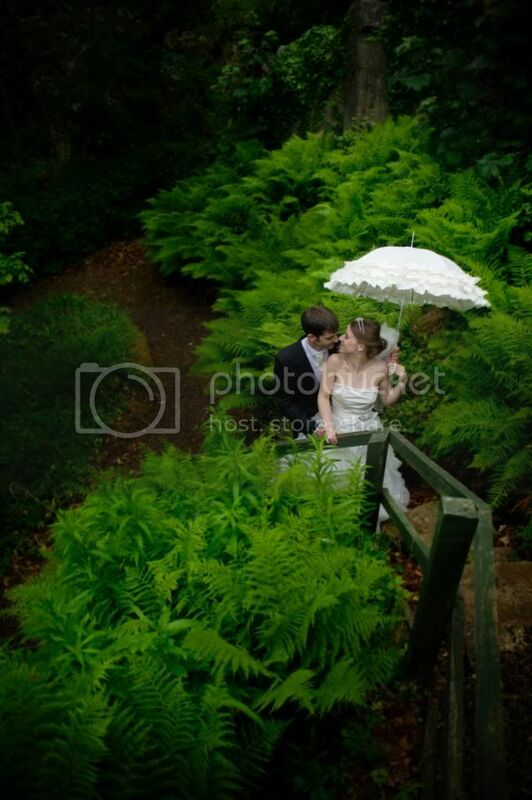 But they venue passed round some umbrellas and we got some fab photos. It continued on and off throughout the day but the photographer said the lighting was perfect for outdoor shots so got LOADS of great pictures! It is meant to be lucky, the saying goes "a wet knot doesn't come undone"